Sometimes all it takes is a bad picture to set you on the track toward body reinvention. That was the case for Ken. Read on to see how one photo convinced him to make a change. I was getting ready to turn 40 and my wife and I went on a Mexico cruise. 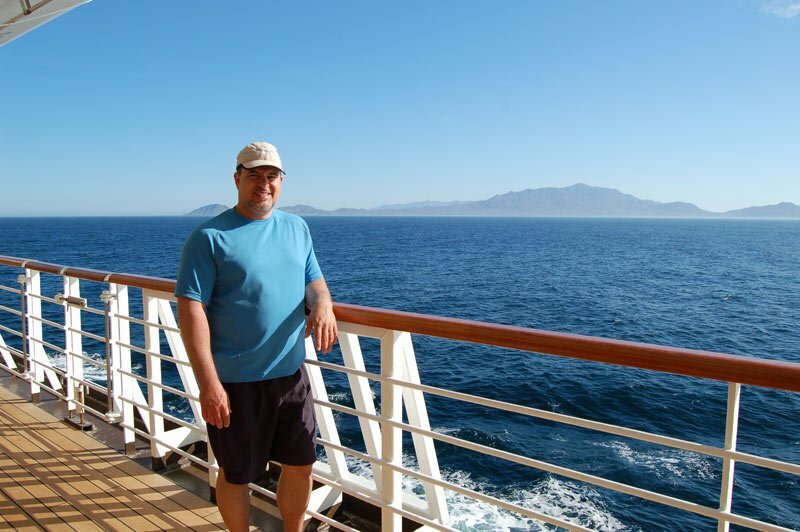 It was at that cruise and the subsequent photos I saw that disappointed me on many levels. I realized that I was no longer the strong guy I thought I used to be and reality hit me: I had become fat and out-of-shape. In college I would lift and take care of myself, but you know the story: got a good desk job, got married, had kids and concluded that I had no time for exercise. I found that I could not keep up with my kids as they got older and more active. I was getting sore a lot and just didn't feel good. My wife always encouraged me to get in shape, but I honestly didn't see how I could afford the time. That cruise pushed me over the edge and I decided to accept the support she had been giving me all along. I signed up to join the local YMCA. It's only a "skull crusher" if you lose control of the rep. French press sounds so much nicer. I honestly knew nothing about bodybuilding at that time but I am one of those people that truly enjoys learning everything there is to learn about my new endeavors. There were so many diets and workout routines out there! So I decided that the absolute best way to learn how to get into shape and lose body fat was to turn to the experts that know how to do this: bodybuilders. I started buying books and magazines and I soaked it all up. I didn't necessarily want to look like a competitive bodybuilder but they certainly know how to diet better than anyone. I frequented bodybuilding websites and forums. I set up my Bodyspace account for tracking and accountability. 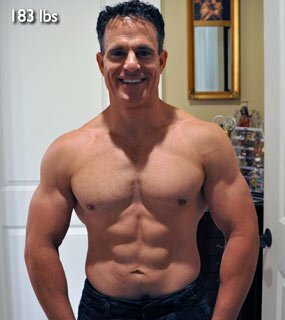 I listened to bodybuilding podcasts. Over time I began to "get it" and I constructed my own plan (detailed below). 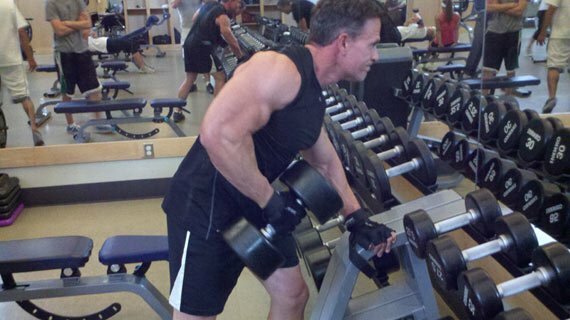 I discovered you should not expect to lose more than 1-2 pounds of fat per week so I set up realistic short-term goals and a long-term goal to lose the fat and gain muscle. I quickly learned that bodybuilders and fitness models alike do NOT look like the magazines all year round. It takes a lot of hard work to achieve that look and it takes months to arrive there. 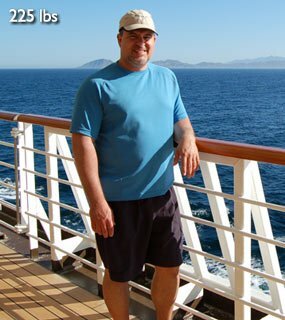 It took me about 6 months to drop from a fat 225 pounds to a reasonably fit 185 pounds. Since January 2009, my goals have altered to focus on my weak body parts while keeping good health. Now that I am in the 12% body fat range, I realize to take my physique to the next level will require a whole different level of commitment which includes intense training, frequent cardio, and tracking my macronutrients all with rigorous logs. Sometimes I am good about it but I fail too - and that's OK because I simply get back on the horse the next day. I'm not competing or doing any photo shoots so I try not to get too out of hand and stick to what I find to be sustainable. My definition of "sustainable" keeps evolving! Easy to rule the dumbbell rack when your body fat stands at 12%. I have tried many supplements but I find that the basics are best: Multivitamin, protein, and joint support. I told myself when I started that I would never inconvenience my family with separate meals or not eating what they do. So when I eat with the family (dinner), I eat what they eat but at portions that make sense for my goals of high protein, some fat, and low carb. In general, I don't eat desserts or sugar-laden food. I drink alcohol occasionally but maybe once a month. I do not drink soda. Outside of this, I'm actually not militant about my diet. I believe I am an endo/mesomorph. When I am "serious" (during summer and trying to lean out) I will measure out what I eat with a food scale and track it all in a log trying to keep to a calorie goal of about 1800 with a 40% protein, 40% carbs and 20% fats. I try to concentrate my carbs upon waking and post-workout. Last winter I intentionally added 12 pounds with hopes of adding muscle but I'm not convinced that was necessary and after getting lean again I'm not sure it mattered. This winter I hope to preserve my current body fat percentage at around 12% but increasing my protein and fat consumption. We'll see how that goes! 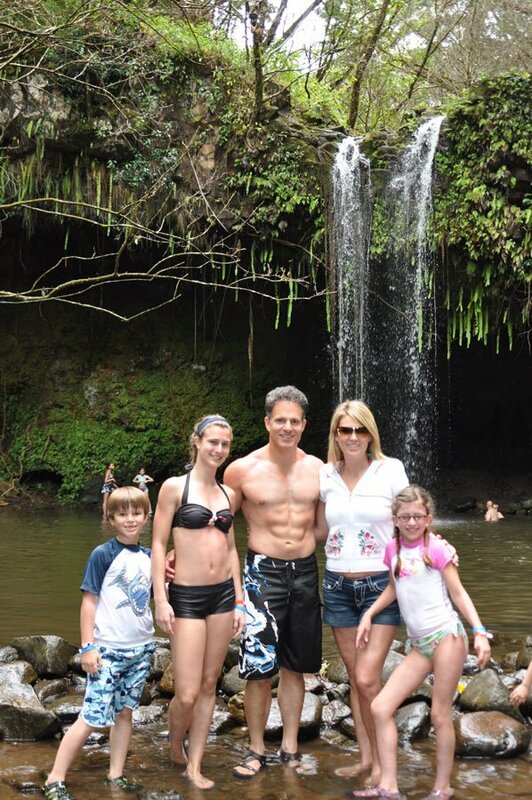 I don't explicitly plan for higher carb refeeds because there is always a day where we go out as a family and I have to deviate from my diet plan. I use those instances as my refeeds. My Meal #1 is always the same but for the others this is just a sample for when I'm trying to get lean. 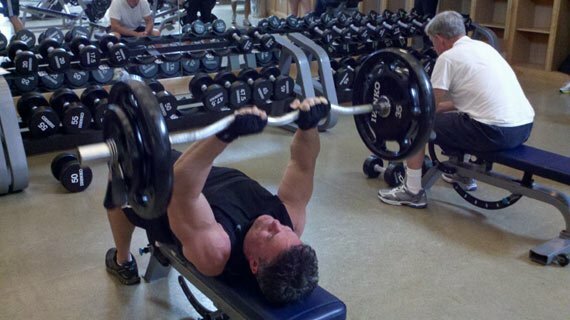 I lift weights on Monday, Wednesday and Friday and I prefer the DC Training philosophies where I continually increase my weights or repetitions, extreme stretch and go with low volume/high intensity. I actually find that this approach is easier on my joints than higher volume. For all the other days I try my best to do some form of cardio (I'm not picky) for 30-40 minutes at medium intensity. This usually pans out to 3 days per week of cardio. For all the below, I do 3-4 warm-up sets leading up to the working set. Unless I note otherwise, for the working set I will rest-pause the same weight three times such that I fail at about 10, 6 and 3 reps. I always grab someone to spot me so that I can truly go to failure. If I succeed, then I will increase the weight for the next time I perform that exercise. If I fail, then I give myself one more try on the next week I perform that exercise. If I STILL do not succeed, then I will swap the exercise out for another. I'm usually weight training for 1 to 1.5 hours per session. Repeat with Week 1 and try to beat my last lifts either in repetitions or weight (remember, I always use a log). If I don't beat it, I switch to a different exercise. This is all explained in far more detail online by Dante, the originator of DC Training. You can't lose a pound in a day and you can't gain it either. You just need to keep plugging away because your body is simply a reflection of a moment in time. You cannot keep the muscle and keep off the fat if you don't keep at it - at least I can't. It's cliché I know but bodybuilding really is a way of life and like bathing, it's something you have to keep doing if you want to keep looking good. You just need to keep plugging away because your body is simply a reflection of a moment in time. Age is totally irrelevant. Anyone can transform regardless of age. Things can get harder when you get older but I would argue that as you get older, your health increases in importance. There is nothing inherent about age that gets in the way of a dramatic transformation. Set up realistic short term goals designed to achieve a long term goal of losing fat and gaining muscle. This is a personal endeavor. Train hard like a bodybuilder. Don't get caught up with the weight you move and leave your ego at the door. There is exactly one person in the gym that cares about how much you lift and that's you. What's important is that you give it your all. You will not "get bulky" like a bodybuilder unless you try to achieve that look for many years. In other words, don't be concerned that you might look "bulky" if you train like a bodybuilder - it won't sneak up on you like that. Diet is absolutely key. How many folks have you seen at the gym every day but their body composition doesn't change? When you log in 300 calories on the treadmill, how can you possibly consume 300 calories with a donut? Too much for me to throw it away by eating something like this. Don't overcomplicate this process and use your brain. Transformation is very simple. It's not easy to do, but it's simple. Restrict your calories while keeping them nutritious and exercise hard. Stick to the basics, track your progress (Bodyspace is great for this) and watch the fat drop and the muscle increase. You need a support system and other people to support your goals. I am lucky to have a wife and family who understand how important this is to me and they stand behind me all the way. I could not do this without my wife's support. I'm flattered to be featured here, but if I can do it, anyone can. Best of luck to reaching your own goals.